1.2 How long will the Fallout 76 beta last? After a couple of rounds of exclusive beta access for Fallout 76 players on Xbox One, Bethesda has now revealed new phases for PC, and PS4 players. Only fans who pre-order the game will able to take part in the beta test and unlike previous Bethesda betas, fans will be allowed to share images and videos of their experiences. It goes without saying that you’ll need an Xbox Live Gold or PlayStation Plus membership to be able to take part in the beta for Fallout 76. Players will get to experience the full game with the beta. The plan is to allow players to carry their progress over when the game goes fully live and Bethesda has said more information on this will be released soon. The Fallout 76 beta will begin on Xbox One on Tuesday, October 23, and on PlayStation 4 and PC on October 30. You can only access the beta if you have pre-ordered Fallout 76, so don’t fall for any sites that say you can get a code without a pre-order. Bethesda plans to rotate through the major time zones so that players around the world can test the game at standard peak times. You can check the official Fallout and Bethesda Studios Twitter pages, as well as Bethesda’s server status page and official forum for the latest updates. Accessing the Fallout 76 beta isn’t quite as straightforward as you’d think. Regardless of which platform you are playing the Fallout 76 beta on, you will need to sign up for a Bethesda.net account. You can access the beta from the Bethesda Launcher once it’s live. If you pre-ordered Fallout 76 from a store such as Amazon or Game, you will have received a code on or with your physical or digital receipt. PC players can redeem this code on the Bethesda Launcher to gain access to the beta once it’s available. Console players who pre-ordered Fallout 76 digitally via the Xbox Store or PlayStation Store will automatically be able to access the beta once it’s live on their respective platforms. You can search for Fallout 76 beta once it’s available on your console’s store to download it and join the beta. Again, if you pre-ordered Fallout 76 from a store, you will have received a code with your receipt, however, this is not your actual beta code. Instead, you must create a free Bethesda.net account, redeem the code that came with your receipt and you will be given a code to redeem on your respective console to access the beta. How long will the Fallout 76 beta last? The servers for the Fallout 76 beta will not be active 24/7. Instead, they’ll usually be online during targeted timeframes to stress test the busiest periods of the day. Fallout 76 will usually be online between four and eight hours a day with as many people as possible, so they can highlight quickly what needs to be fixed. Bethesda has said that it will make an announcement when it wants players to converge online to make the most of the short play periods. If you’ve ever played a Bethesda game, then you’ll know what to expect: a tonne of hilarious, mind-boggling bugs. 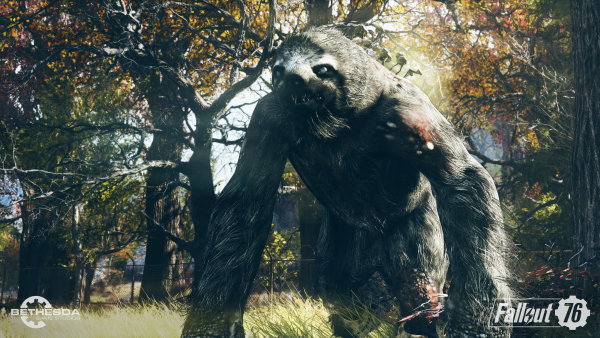 As always, Bethesda is aware of some bugs and has deliberately kept them in Fallout 76, whether that’s for comic relief or because it hasn’t found a way to fix the bug yet, we’re not sure. Bethesda has requested constant feedback from players trying out the beta so that it can remedy any game-breaking issues quickly prior to launch. You’ll be able to submit feedback via Twitter, Facebook and Bethesda’s official forum for Fallout 76. You’ll need about 45 GB of space available to download and play Fallout 76, so it’s time to start thinking about which game is for the chop to make way for Fallout 76. PC players won’t need to download a separate version of the game at launch, but console players will need to download the official launch version on November 14, regardless of whether you actually download and play the beta or not. As we said earlier, from October 23 on Xbox One and October 30 on PS4 and PC, fans can stream, share images and videos and create content. Take all the screenshots you want and share them with the world! If you decided to pre-order the Tricentennial Edition of Fallout 76, you’ll need to wait until launch to access the extras that come with it. We’re sure the wait will be worth it. The in-game currency for Fallout 76 is Atoms, which you’ll earn by completing various challenges and achievements. You can use Atoms to buy cosmetic customisation options for your character and this option is only open by playing the game during the beta stage. When Fallout 76 officially launches on November 14, however, you can use your real-life money to buy Atoms. 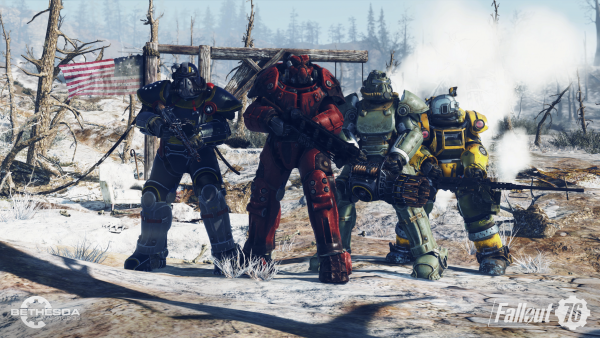 Factions will be a crucial part of Fallout 76, with the return of the Enclave, Brotherhood of Steel and Raiders, as well as two new additions: the Responders and the Free States. You can read more about them in our faction guide here. Whilst your gameplay progress will be carried over to the official launch, you won’t be able to earn any trophies or Achievements during the beta. Prep yourself before you drop in by reading up on everything we know about Fallout 76 so far. The post Fallout 76 beta: start time, when is it live and how to get a beta code appeared first on VG247.